After days of counting absentee ballots and affidavits from five counties and weeks of uncertainty following Election Day, Democratic challenger Anthony Brindisi will be the next representative for New York’s 22nd congressional district. Brindisi defeated Rep. Claudia Tenney by around 4,000 votes. Brindisi initially claimed victory on election night; however, the race was too close to call, with just 1,422 votes between the two candidates — approximately 0.6 percentage points. Additionally, the count didn’t include more than 13,000 absentee ballots that had yet to be counted. The Board of Elections in each county began counting absentee ballots on Nov. 13 and finished on Wednesday, Nov. 20. Absentee ballots were considered valid if they were postmarked on Nov. 5 and received at the appropriate county Board of Elections by Nov. 13. In Broome County, Brindisi held a large lead over Tenney. He won the county by 11 percentage points on Election Day and gained 2,959 absentee ballots once all votes were counted. Overall, he led Tenney by more than 10,000 votes in Broome County, one of the largest in the district. On Wednesday, Brindisi declared victory. On Twitter, he attributed his win to his supporters and campaign staff. While Tenney, who declined to concede the race on election night, didn’t put out a statement about the loss, she said she would be helping with Brindisi’s transition during a phone interview with radio TALK! 100.7 (WUTQ-FM). “I haven’t had a chance to speak to [Brindisi] yet — of course I will — and my office will do everything we can to coordinate with him and make sure he has a smooth transition,” Tenney said in the interview. Chris DeMarco, president of College Republicans and a senior majoring in political science, said he would have preferred to see Tenney win, but thinks Brindisi will be fairly moderate in Congress. 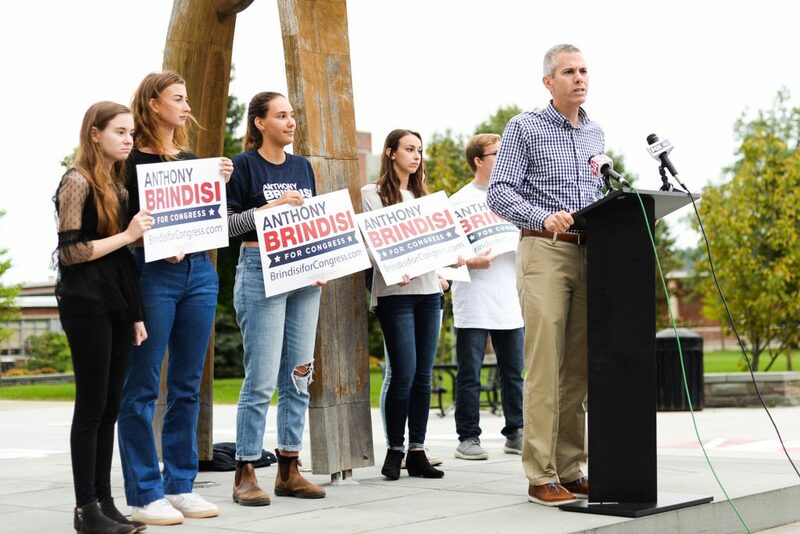 Eli Krule, treasurer of College Democrats and a senior majoring in philosophy, politics and law, said Brindisi’s moderate stances would benefit the community.